​Heidi Glover - Salon owner and Director Heidi has a great love and passion for the hair and beauty industry. Starting out at 15yrs old she was qualified in 2006. She was lucky enough to score a position at Fruition, working with one of the best in the industry, Australian hairdresser of the year finalist Craig Smith. ​She has worked internationally in London and completed a Vidal Sasoon course before relocating to the Gold Coast where she worked her way to becoming Australia's head trainer for Anastasia Eyebrows. 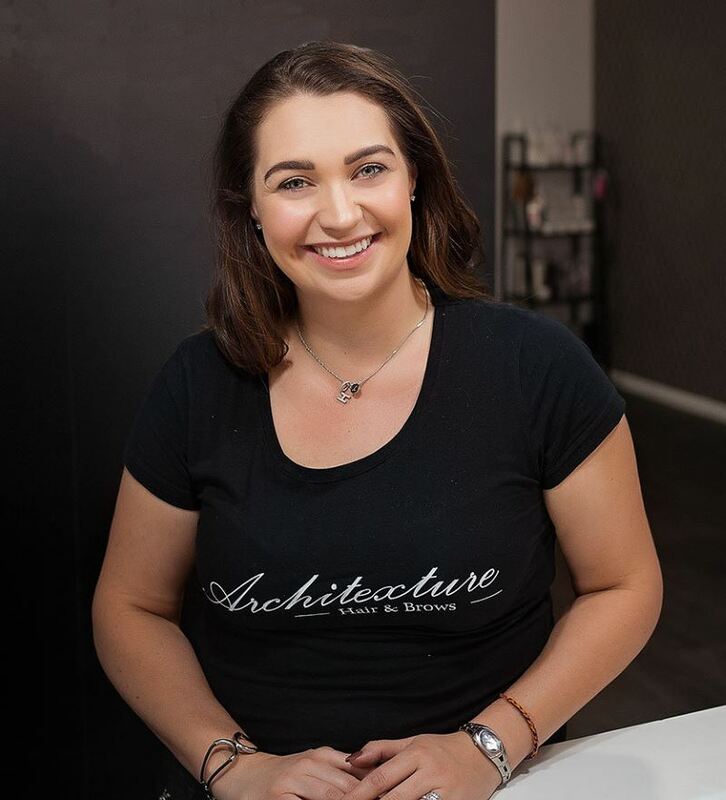 In 2013 Heidi returned to her hometown of Toowoomba and opened her own salon, Architexture Hair and Brows, bringing international trends to Toowoomba. ​New clients are most welcome and appointments can be made by calling or sending a text request to 0407 114 475 or by booking online below. Best brows and hair in Toowoomba! And such lovely service. Any excuse to go back to get pampered! "Jessie J." Love love love my new hair cut, thanks Heidi ☆☆ "Nadine A." Does an awesome job on my beard and hair. Also, love the vibrating hair wash chair. "Shane F."
Heidi is a true perfectionist, who cares to understand her clients needs and delivers every time . Thank you Heidi. "Barbara S."
Heidi is so lovely & does the most AMAZING job with brows!! L O V E :) "Jill C."
Absolutely Love my Brows! "Brooke L."